Do you spend all your time looking for the cheapest flights and best hotel deals months before a holiday but then scramble to organise your travel money at the last moment? Well, you’re not alone. 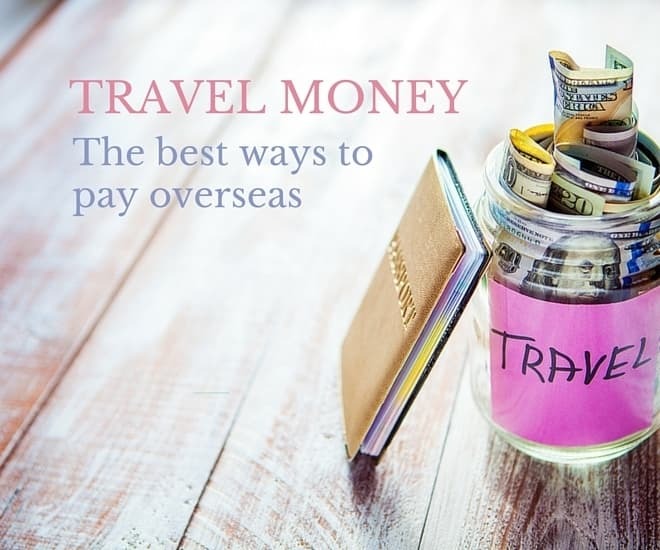 There are many savvy travellers like you who end up paying exorbitant conversion fees at the airport and throughout the trip, all because they put packing their travel money at the bottom of their travel to-do list! So what’s the solution? Should you be stashing all your money in a secret cash pouch, a prepaid travel card or a credit card? Frankly, there’s no magic formula to swear by. Local currency is great as it’s accepted globally and you don’t have to pay a sneaky transaction fee every time you make a payment. But there’s one thing you can’t afford to ignore: the foreign exchange charges. It’s important to compare exchange rates from different providers, if you’re considering exchanging money before you leave, to ensure you’re getting the cheapest deal. Is it worth the effort you ask? Read on and decide for yourself. At the time of writing, for AUD $5000, foreign exchange specialist Travelex would give you USD $3510, whereas one big bank provider we looked at was only offering USD $3406. That’s a difference of USD $104 - now won’t you rather spend that at a store in Fifth Avenue? Expert tip: Cash is a convenient travel money option, especially if you’re off to a country like Nepal, which doesn’t accept cards as widely as Australia. But carrying a lot of cash in a foreign country can make you the perfect target for pickpockets. So split your cash - keep part of it in your wallet and the remainder in the safe at the hotel. These are a lot like cash, just without the hassle of carrying all that hard money around. You can preload the currency of your destination at a fixed exchange rate and then use it wherever cards are accepted. And say you’re going to multiple countries, you can add a number of local currencies. The other major advantage is in terms of safety because prepaid cards come with pin code security. Also, if you run out of money while you’re on the road, you have the option to transfer funds from your bank account to top up your travel card. While comparing prepaid travel cards, you should look out for options that don’t have a purchase fee and allow overseas ATM withdrawals for free, like the NAB Traveller Card and the Cash Passport Prepaid Card. Expert tip: If you’re not planning another international trip soon, it’s a good idea to withdraw the remaining balance on your prepaid card when you get back, as some providers charge a monthly inactivity fee if you don’t use the card for more than 12 months. If you’re a frequent traveller and can’t find the time to compare exchange rates every time you’re about to take off, then it could be a good idea to go for a travel credit card, which can be used at home and abroad. So how’s this different from a standard credit card? It charges low or no foreign exchange commissions. In fact, a competitive travel credit card can come with added advantages such as 24/7 worldwide concierge and complimentary travel insurance. 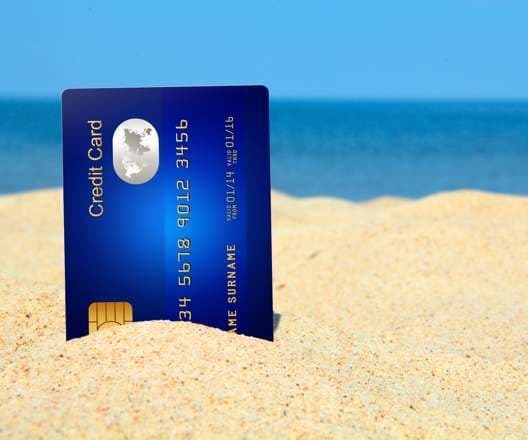 If you have an overseas holiday coming up, take a look at some of the best travel credit cards and kick off your application online. Expert tip: Don’t forget that this is a credit card, which means you still need to pay off your balance in full at the end of the month or you’ll end up with a huge holiday debt. This is ideal if you want the comfort of a credit card but don’t want to risk racking up a huge bill when you’re back home, as you’re spending your own money. If you’re just a little search savvy, you can find a great travel debit card that charges $0 overseas ATM fees and no foreign exchange commissions like the Citibank Plus Transaction Account. Since your travel debit card is linked to an everyday transaction account, you don’t need to worry about disabling the card when you’re back. Expert tip: In the case your travel debit card does charge an overseas ATM fee, try to withdraw larger amounts of money in one go, to avoid the bite of being charged multiple fees, which can add up. Now that you’ve had a good look at all your travel money options, don’t forget to check out our travel hub for more money saving tips and tricks..